Not only do these Kelowna suggestions accommodate your meeting and conference space needs but they are also great places to stay. UBC Okanagan Campus and Four Points by Sheraton are right by the Kelowna International Airport making it easy to arrive and stay close if travelling by air; Ramada and Sandman Hotels are within walking distance of Orchard Park Shopping Centre; Manteo Resort is on the waterfront making it great for a walk or run on the boardwalk; Fairfield Inn & Suites and Kanata Hotel are centrally located with just a short taxi ride from the Kelowna International Airport and Downtown Kelowna. Here is a bit more information on each property. This gateway to the Okanagan&apos;s numerous outdoor activities has plenty going on inside, including a popular restaurant and ample event space. The hotel offers 4,550 square feet of open meeting space, a state of the art ballroom, fast and free Wifi, complimentary on-site parking, and dining at the contemporary and relaxing Gulfstream restaurant. Conveniently located 10 minutes from Kelowna International Airport, they are adjacent to some great shopping and a variety of dining options. Fairfield by Marriott is designed for today’s traveller who is looking to be productive on the road, whether for business or leisure. In addition to a four-story waterslide and heated outdoor pool, complimentary Wi-Fi, and complimentary hot breakfast, the Fairfield offers thoughtfully designed rooms and suites. They have 2,766 square feet of event space and can accommodate up to 150 people. The Kanata Kelowna Hotel & Conference Centre is a 180 room hotel with over 4,500 square feet of event space located in central Kelowna. The hotel is separated into two wings including a seven-story business class tower. It is conveniently located minutes from Kelowna International Airport, Downtown Kelowna, and the Waterfront. Kelowna’s Manteo Resort is beautifully located on the shores of Okanagan Lake, only minutes from downtown, championship golf courses, estate wineries, and only one hour from legendary powder snow at Big White and SilverStar ski resorts. Their 101 full-service resort features waterfront meeting and conference facilities, ideal for groups up to 180 and includes lakeview boardrooms. The fireside library and upper lounge – complete with big screen TV and pool table and patio – are perfect for gatherings up to 80 people. The University of British Columbia (UBC) Okanagan Campus offers unique conference space in the summer (mid-May to late-August) for groups of up to 300 people. With over 50 meeting rooms from lecture theatres to boardrooms, various catering spaces, and over 500 sleeping rooms all set in a beautiful campus environment, UBC Okanagan Campus is a conference destination on its own. Hosting an event with Sandman is a one-stop, worry-free experience. From all-day corporate seminars and group socials (how about a social poolside), they can accommodate almost any function. Their experienced meeting planners will guide you through the many options available and personalize a package to suit your budget. They have over 2,800 square feet of meeting space and can accommodate up to 300 people. With 6,749 square feet of event space, this hotel features 9 meeting rooms, which can be arranged to accommodate 350 conference guests or 250 banquet guests. They are located in the heart of the city on Harvey Ave, directly across the street from the largest shopping mall in the Okanagan. They are central to all of Kelowna’s best attractions including our world famous wineries and golf courses. 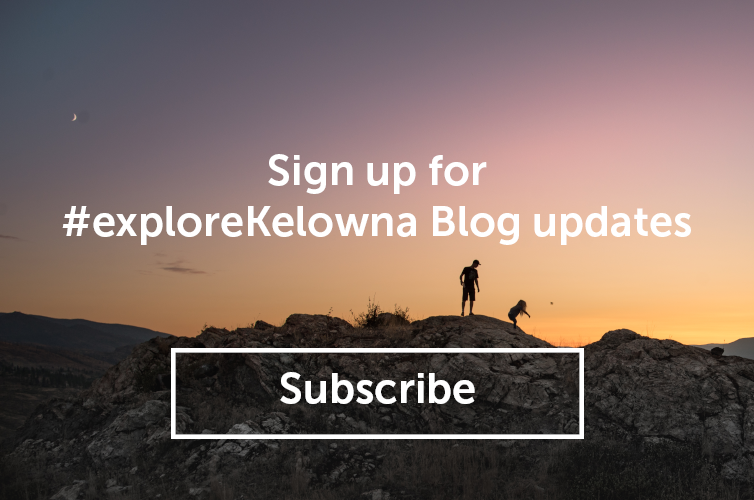 Click here for more information on planning your meeting, conference, or event in Kelowna.